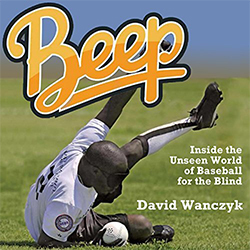 On March 5, David Wanczyk released the much-anticipated book, “Beep: Inside the Unseen World of Baseball for the Blind”. If you haven’t taken time to read the book, do yourself a favor and grab a copy on Amazon, on Apple iBooks, or as an audiobook on Audible. Don’t forget: When buying through Amazon, you can always donate a portion of your purchase to the NBBA through Amazon Smile. See more details on Amazon Smile here. Question: What did you think about Wanczyk’s “Beep” book? Leave your thoughts in the comments section below.